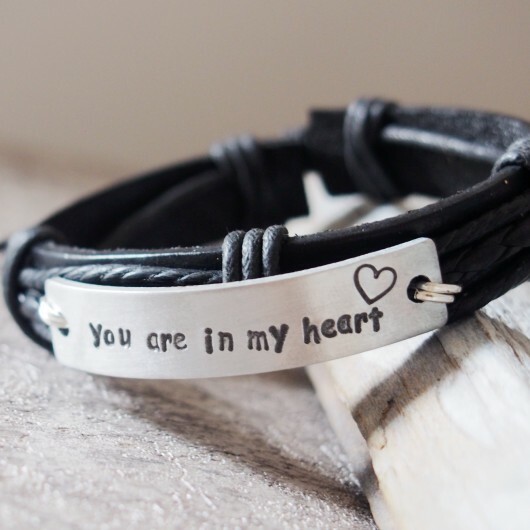 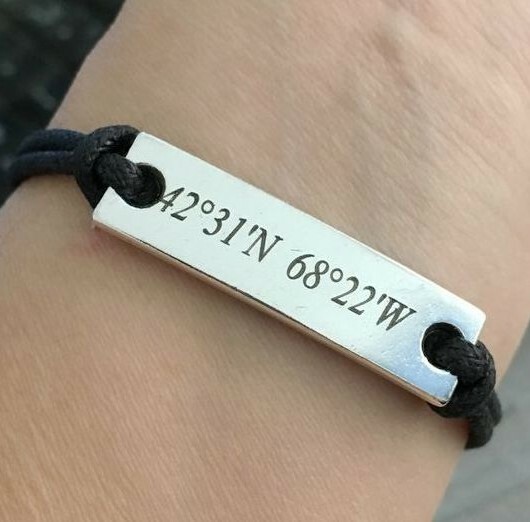 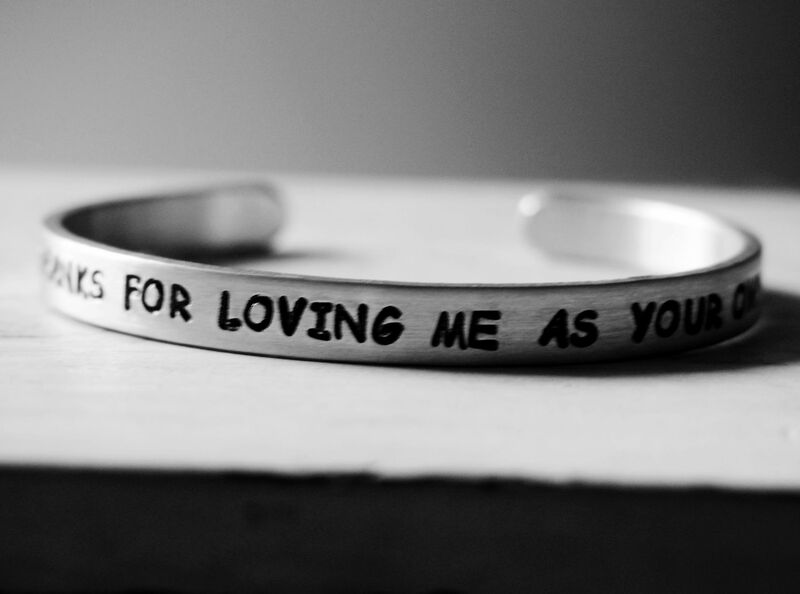 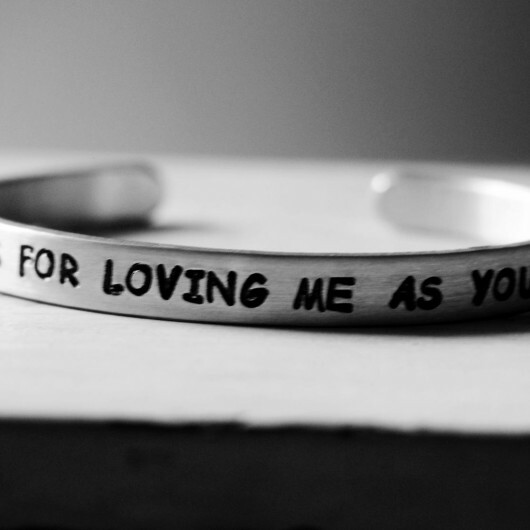 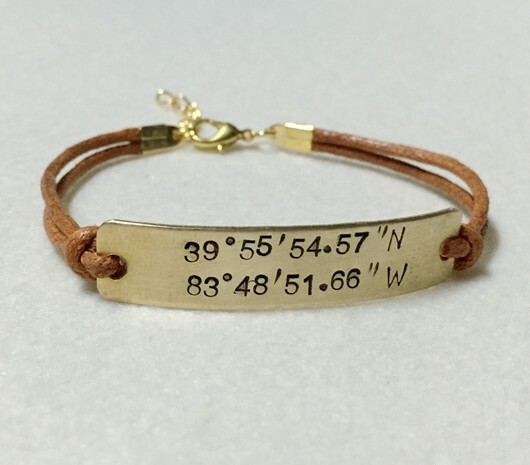 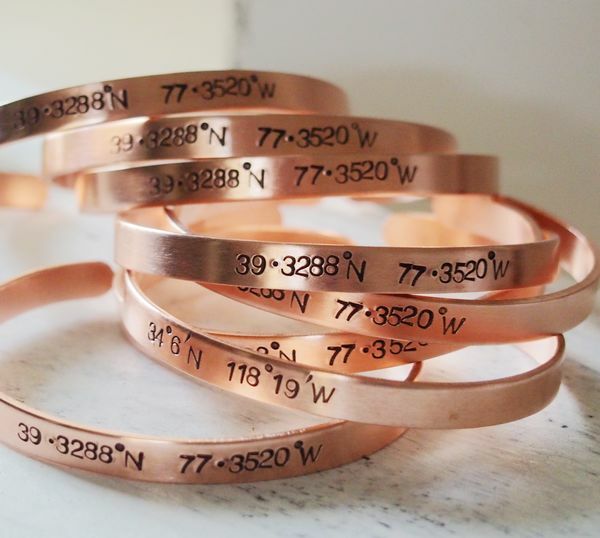 Posted in Bangle Bracelet, Personalized Bracelets. 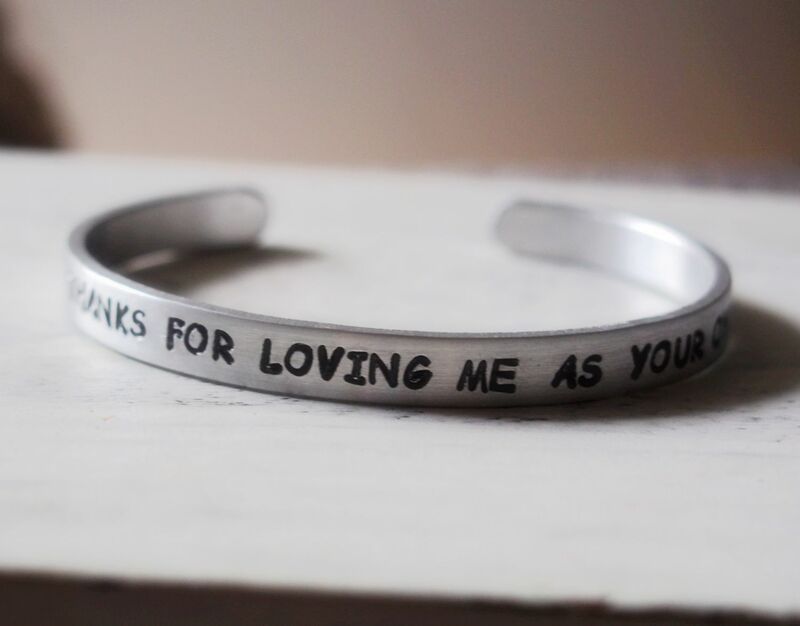 Tagged as Godmother Gift, heart, love, personalized gift, silver stepmom bracelet, step mom jewelry, Stepmom gift, Thank you for loving me as your own. 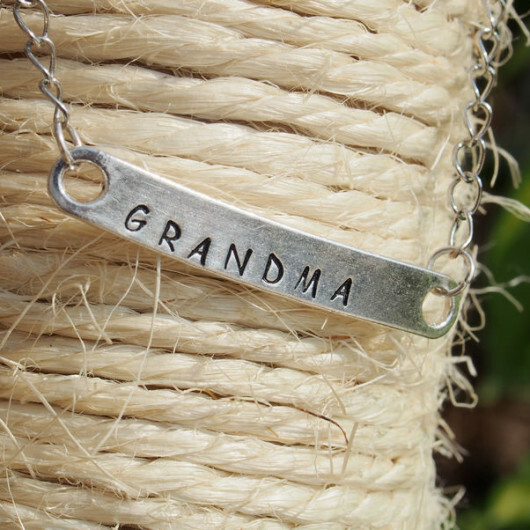 Personalized gift for stepmom, for godmother, thanks for loving me as your own. 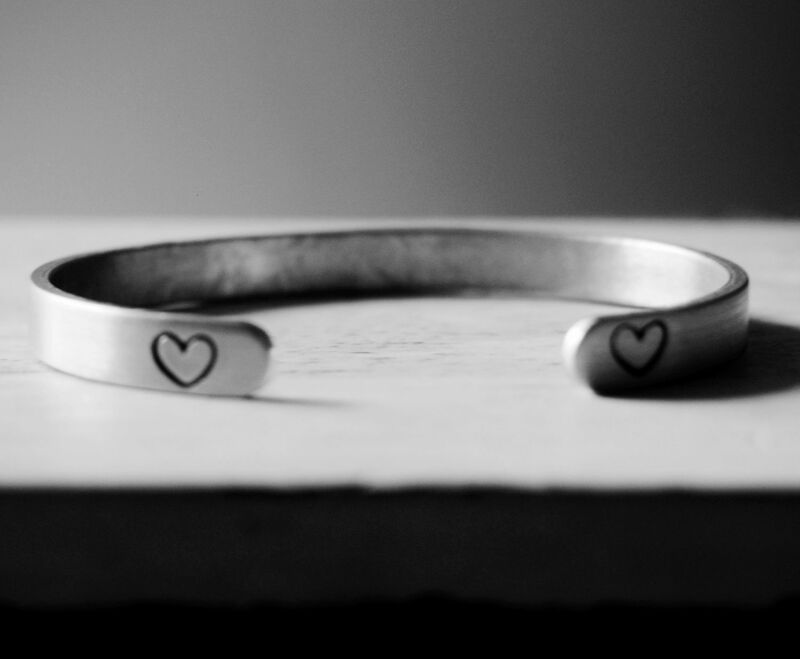 love, heart, silver handmade bracelet for stepmother.